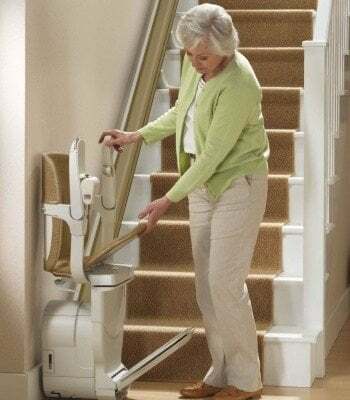 The seat-to-footrest link makes folding easier and improves safety at the top of the stairs. 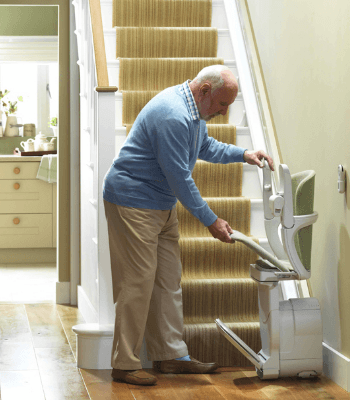 Folded, the Siena stairlift leaves room for people to walk up and down the stairs. 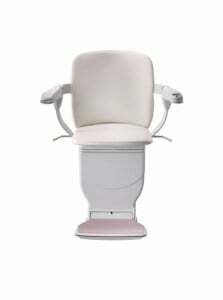 Affordable on most budgets, the Siena chair was engineered to be dependable and easy to use. 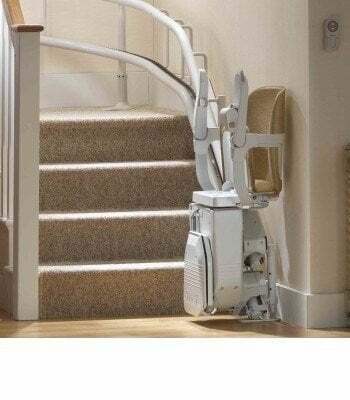 This lift has proven to be a great option for almost any situation. Designed to position the user’s spine as close to the wall as possible, the Siena allows the user’s feet to sit securely on the footrest, making for a more comfortable ride. 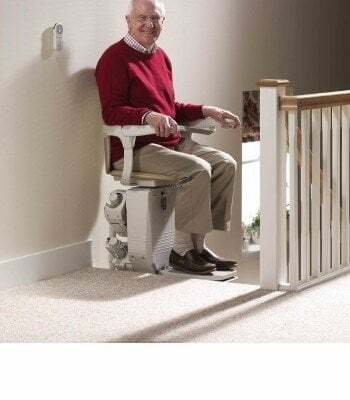 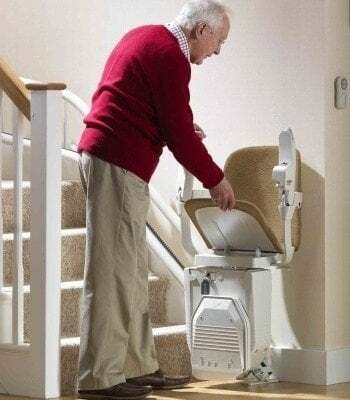 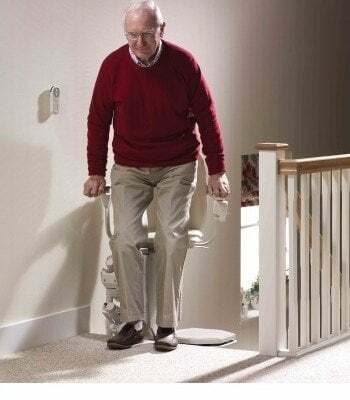 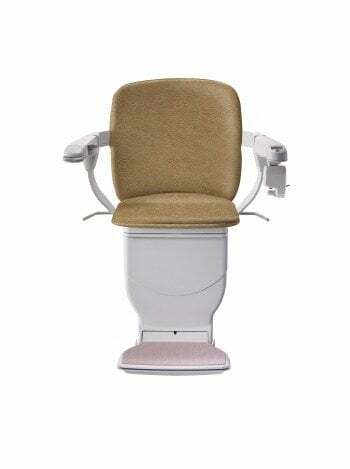 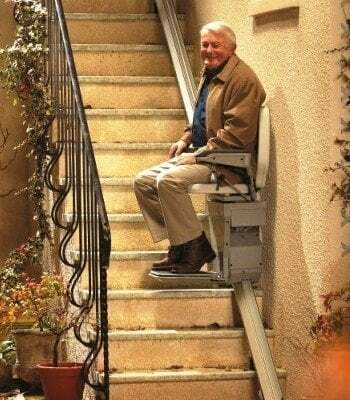 By linking the footrest to the seat, we’ve made folding up your stairlift even easier. Simply lifting the seat will raise your footrest until it is in a secure position. 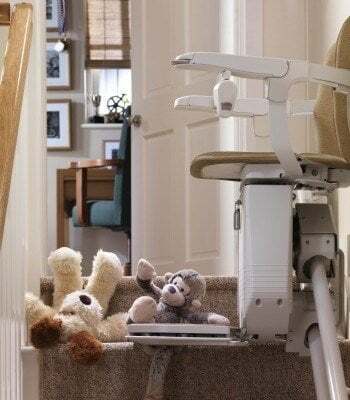 This extra layer of safety is especially important at the top of the stairs. 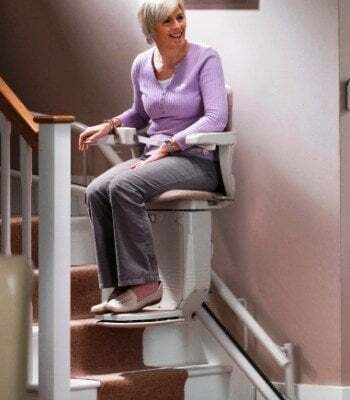 Siena has the only seat belt designed just for a stairlift. 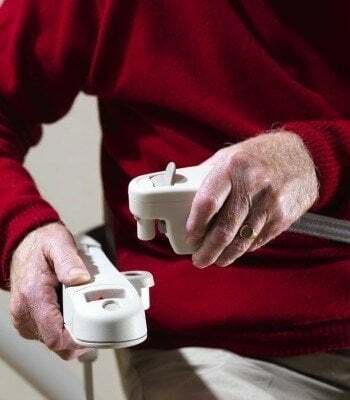 Instead of being tucked down by the users’ hips like most stairlifts, the Siena has a retractable seat belt that is mounted near the tip of one armrest, and which can be operated with one hand. 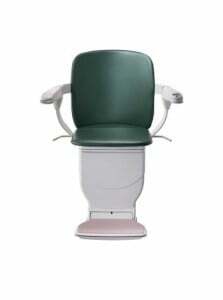 It simply latches into a hole on the opposite armrest. 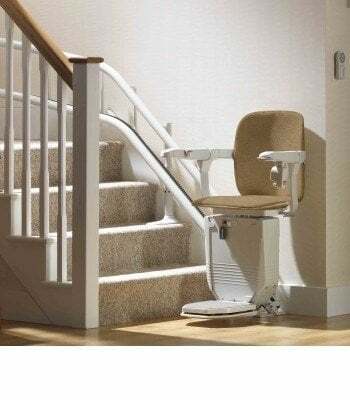 Upholstery choices. Choose from any of our six vinyl upholstery options to find the one that fits your home.